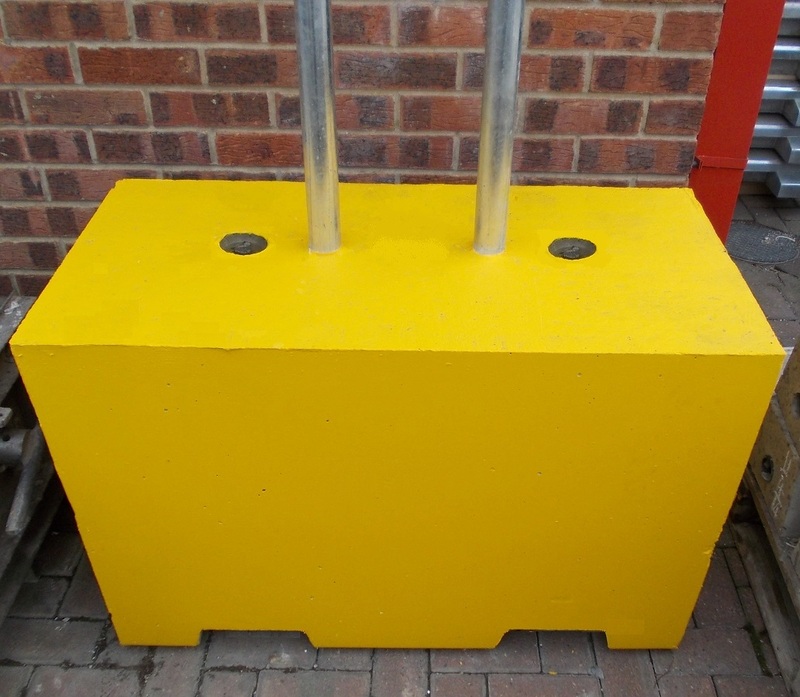 Our concrete barriers for signposts are perfect for temporary or permanent signs providing an extremely robust base without having to permanently install a sign post. 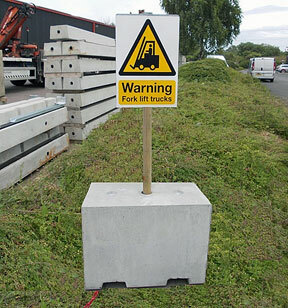 Concrete barriers for signposts are made to order. We can either cast the posts or poles into the concrete so they are permanently fixed, or we can cast pipe into the blocks for the posts or poles to slide into, allowing the signs to be easily removed if necessary for moving on site or storage when not in use. This makes them perfect for onsite traffic management, construction sites, events and many other applications. Visit our before ordering and site preparation pages for advice on placing your order.